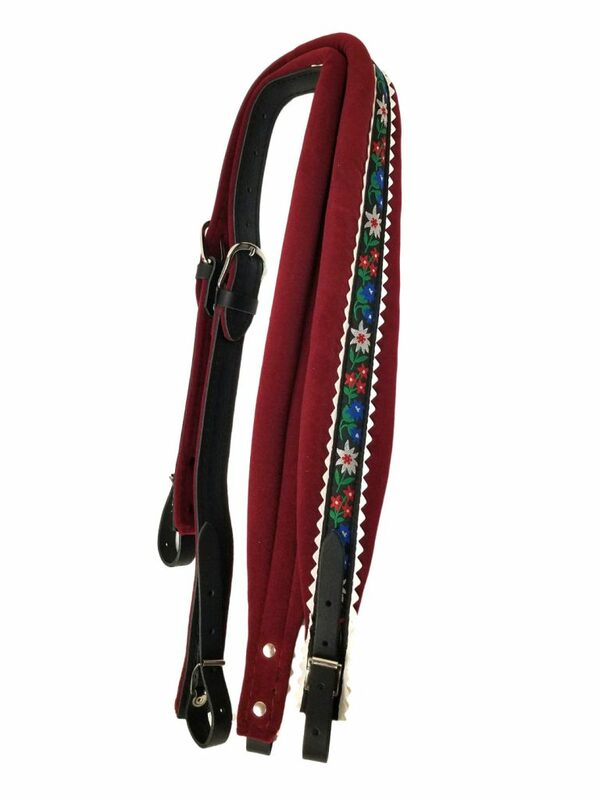 Excalibur Accordions Excalibur Strap Crown Leather and Fabric Flower Pattern -Red Excalibur Crown Leather and Fabric Flower Pattern Red Excalibur Crown Series Deluxe Accordion Straps 2 1/2\" Strap-Rugged Leather straps encased with high-padded black fabric. Accented by a flower pattern and additional white leather boarders. 2 1/2" Strap-Rugged Leather straps encased with high-padded black fabric. Accented by a flower pattern and additional white leather boarders.